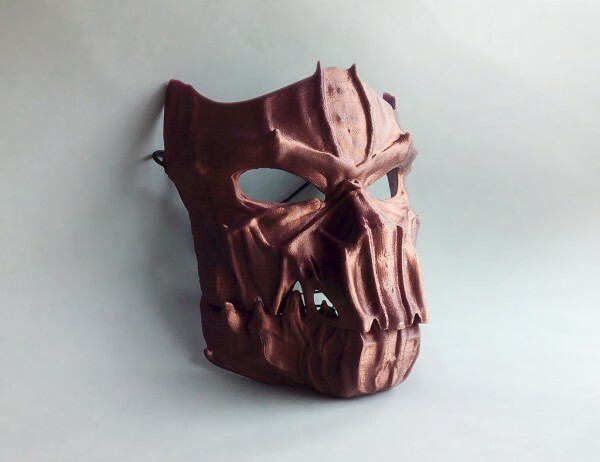 Dark Mask – Jointed #3DThursday #3DPrinting « Adafruit Industries – Makers, hackers, artists, designers and engineers! Create your own articulated frightening mask. You just have to print two parts and fit the axis of the jaw. Then, add a thin elastic cord to open and close the jaw. Soon we will upload a small mounting tutorial.